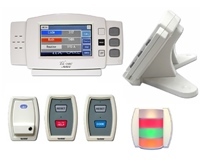 Accutech’s ResidentGuard wander management systems give Alzheimer’s, dementia and other "at-risk" residents the ability to move freely about their facilities while receiving the protection they—and their families—need. Using advanced RFID technology, this perimeter-based security system puts staff at ease while enabling them to direct their energies toward other critical tasks. The preferred solution. Does more. Costs less. 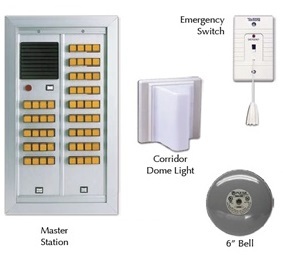 The LS2400 system is a low cost wander system that provides resident ID, loiter and door-ajar monitoring, low tag battery and several more alerts without the need for a computer. It’s designed to be a fully functional dedicated system, or customized to integrate to your facilities specific needs. The LS system can provide resident ID and reporting capabilities at the door or nurse’s station with the optional LCD display(s). 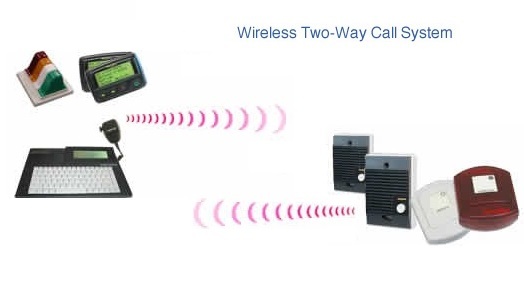 It also uses a wider RF range that minimizes the need for an extra antenna for double door applications. The system is easy to use and can be installed and serviced by your maintenance personnel. Accutech delivers the protection performance of our most advanced Active RFID security technology in a very affordable, effective, and simple-to-use package. AtGuard door protection packages are stand-alone self-contained units. These do not require networking or workstations to provide your required security. 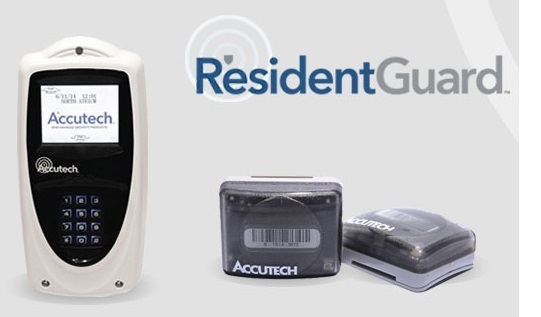 The ResidentGuard LC 1200 wander management system is the ideal entry-level solution for facilities that need quick, cost-effective patient wandering capabilities. It can be implemented as a stand-alone system, installed and serviced by your maintenance personnel. 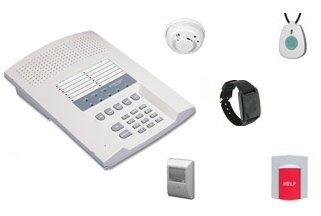 This system can be integrated with nurse call, electronic access control (EAC), closed-circuit television (CCTV), fall detection and other existing security mechanisms within the facility. Contact us to learn more about how Accutech delivers long-lasting security, economy, and a path to brighter future for long-term care residents.